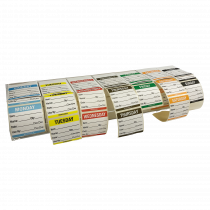 A food labelling system is a must for any catering establishment preparing, cooking and storing pre-cooked or raw foods. 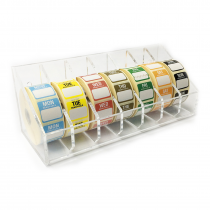 This simple to use system is commonly used within the hospitality and catering industry. 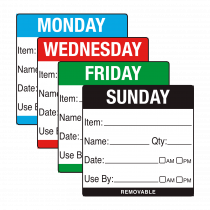 These labels are also known as, "Day of the Week Labels", "Day dots" or "Shelf Life Labels". 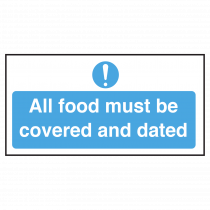 Food safety storage labels help prevent food being consumed or used after its use by date. 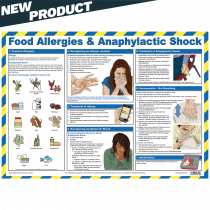 A "first in-first out" system, which also helps to control your food waste. 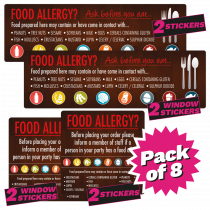 With allergic reactions to food on the increase, chefs and cooks preparing dishes need to label the dish with an "Allergen Information Label" indicating which of the 14 allergens are present in the food. 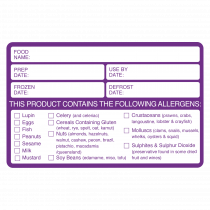 All our food labels are suitable for both fridge and freezer use and are easily removed from plastics and metal containers, leaving no sticky residue behind. Application Temp -10°c once applied. 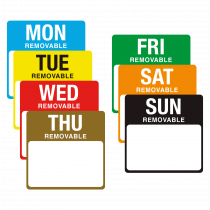 Working temp -30°c to 70°c. 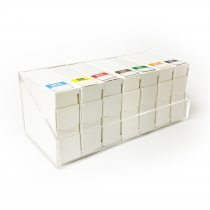 Should your label requirements not be met by the range featured, please do not hesitate to get in touch, we can manufacture labels to your requirements, any shape any size. 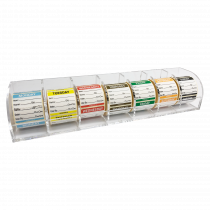 Day of the Week 25mm Labels & 7 Day Box Dispenser. 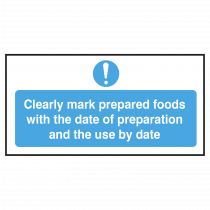 Cleary Mark Food with Date of Prep and Use By Date.